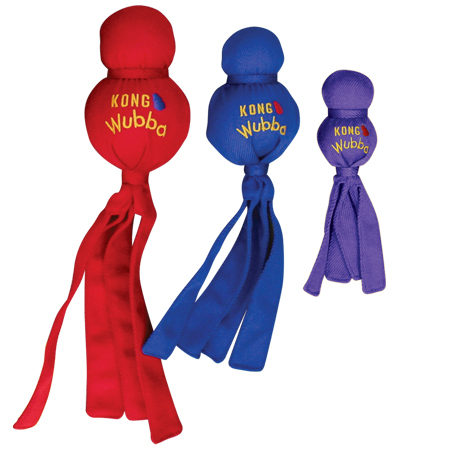 The Kong Wubba is a dog toy that works great at both tugging and tossing games. Each Wubba is made up of a squeaker ball and tennis ball, which are both covered in super strong nylon fabric. The long tails makes each Wubba easy to throw and looks hilarious when your dog is bringing it back and the tails are flapping around in his face. Great fun for both dog and owner. Supplied in a randomly allocated colour. Please Note: These toys are not indestructible. Please supervise your pet when they are playing with them. There are currently no questions for Kong Wubba Dog Toy - be the first to ask one!